The Sword of Shannara was the birthright of descendants of Jerle Shannara. 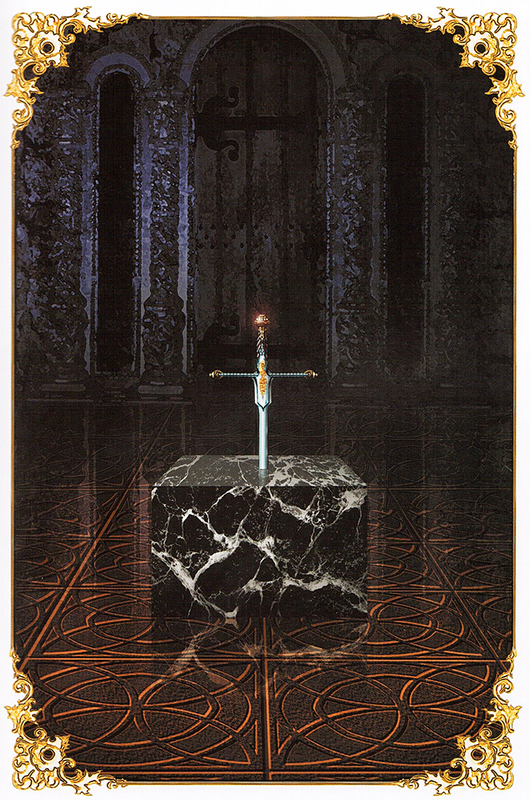 The sword was slender and its metal was a shiny deep-blue silver. The handle was finely wrought. Carved into the wooden grip was a fist thrusting aloft a burning torch. It was the birthright of descendants of Jerle Shannara – for whom the sword was named – and only a member of the Shannara blood line could wield the magic it holds. It was forged to defend against lies that enslave and conceal. It sought truth where truth was concealed by deception and lies. Through revelation it empowered however, this empowerment came at a cost. Like all Elven magic, it drew it power from its bearer. Its strength and effectiveness therefore relied on the strength of the bearer. The stronger the bearer the more effective the magic. The sword relied on the bearer’s willingness to shed personal deceptions, lies, half-truths and lies to see clearly the same in others. To wield it required a strength of will and heart: someone who would not shrink from the fear and pain and doubt that the truths revealed would cause. Forged out of Druid fire by Bremen in Dechtera. Jerle Shannara held the Sword in Arborlon until his death. His successor also held the Sword for a time, before having it placed in a block of tre-stone and sending it to Paranor. After the destruction of the Warlock Lord the sword was left in Tyrsis. Par Ohmsford had the Sword with him. Upon their return from Parkasia the sword was handed over to Grianne Ohmsford to take with her back to Paranor as Bek Ohmsford believed it belonged with the Druids and not him.